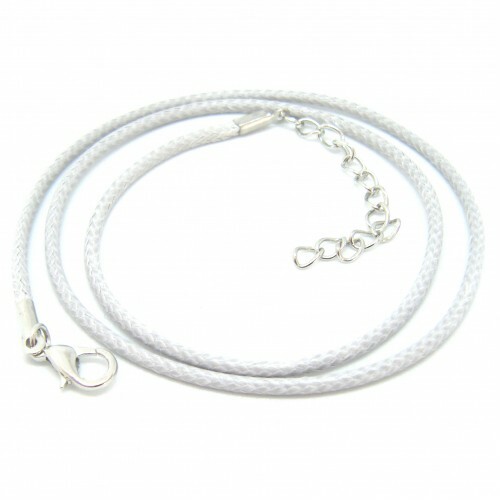 1.5 cm x 1.5 cm. 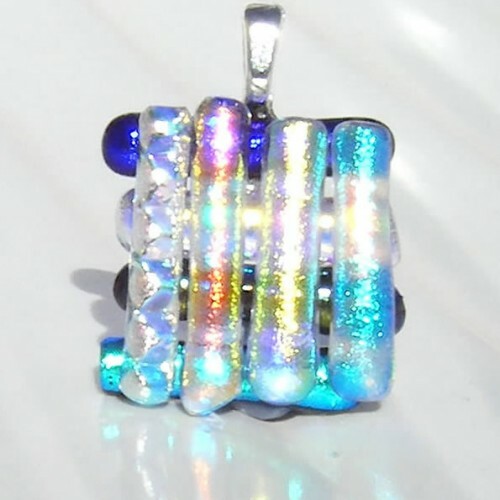 The design has been created by artistically placing individually cut small pieces of brightly coloured glass on top of each other then tack fusing which gives a beautiful depth to the colours. 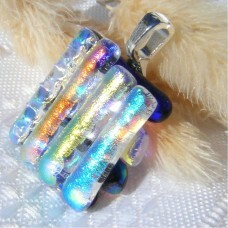 Dichroic glass gives that wonderful sparkle that shimmers when moved in the light. This piece is fired as a tack. 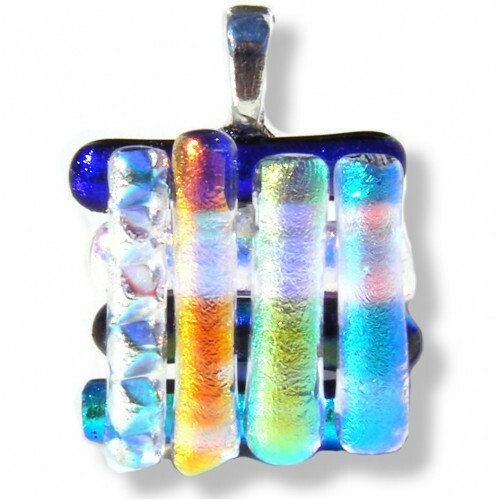 Tack fusing retains a more defined shape of the pendant. 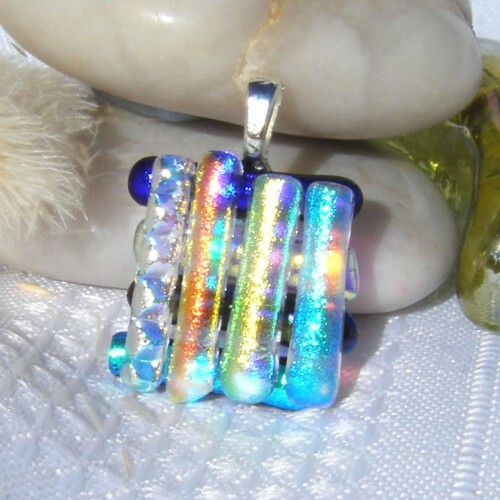 This gives a nice texture as well as look to the jewellery.This is complete with a silver plated bail. 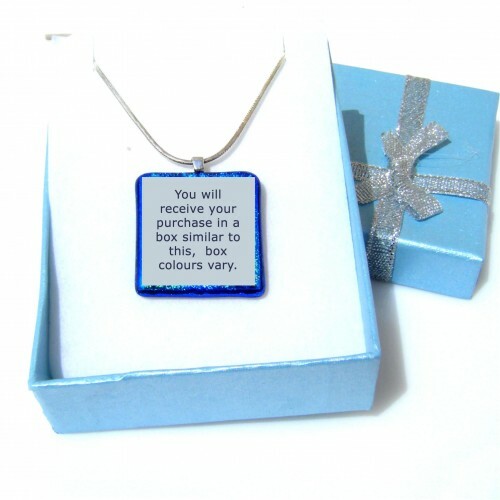 Comes with a 46cm silver colour cord thong with extender chain and a pretty gift box.